Horses are truly unique. So powerful, mystical, graceful. They link us to an eternal, silent world, to the elementariness of nature. If we open our mind for what the horses have to say, they will guide us on our path to more self-awareness and to a deeper understanding of ourselves. Children often have a very natural connection to horses. They enjoy the friendship and just being together. As we grow up, ambition, concepts and ideas and can cloud this intuitive understanding. We can lose our path and stop treating horses with the respect they deserve. However, if we limit our horses, in body and spirit, we also limit ourselves. Many riders today don’t feel at home with “conventional” training methods anymore and wish for a softer way of communication, for more togetherness. As a horse trainer, I can help you and your horse to grow together and to build a relationship based on trust and friendship. There is nothing more rewarding than looking into the eyes of your horse and seeing a faithful friend. 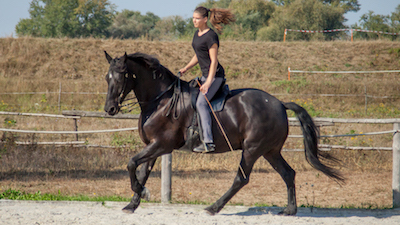 I combine mindfulness techniques, clear communication principles, knowledge about biomechanics and dressage training according to the Academic Art of Riding. I strive to connect understanding and feel, reason and emotion, sense and sensibility. Whenever these two aspects are out of balance, especially in horse training, we encounter difficulties. We need to know what we do and have an open heart doing it. To me, a good connection is just as important as correct training. This is my way and I invite you to join me! 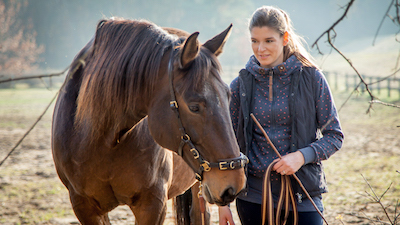 The art of communication between you and your horse. I guide you to more mindfulness and help you to develop a trustful partnership. 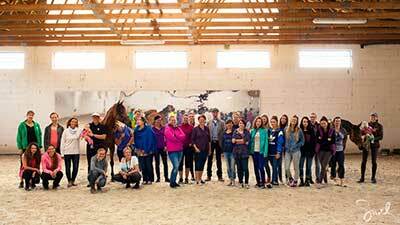 The education of the horse starts on the ground, with a cavesson. From simple bending exercises to side movements and collection. Have you ever thought that riding should be effortless, soft and joyful? Then the academic art of riding is what you have been looking for. A great opportunity for growth and inspiration. Meet like-minded people and learn in a safe, supportive environment.